In the MOD Shop, you will have three main parts of the car that you can modify. These parts include Wheels, Paint and Spoiler. Each of these modifications requires you to spend diamonds. 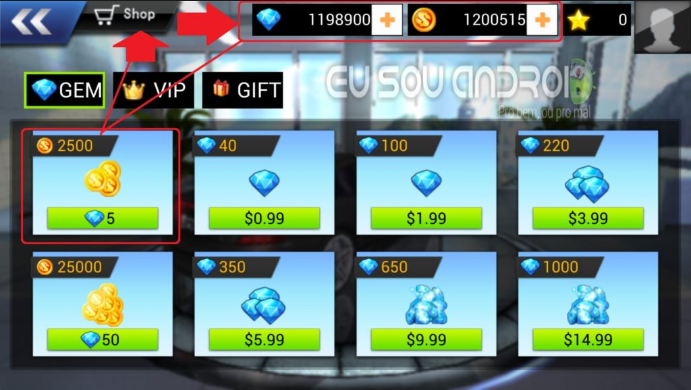 You can earn the diamonds from the daily login bonus or by watching videos. In this road racer game, you are allowed to make upgrades to your car to improve its tops speed, acceleration, NOS speed and handling. Each upgrade will cost your coins. You can choose to maximize the upgrades for a car by spending diamonds as well. 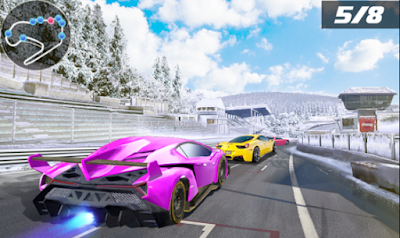 In Real Drift Racing: Road Racer, you will start off by competing in the Amateur Challenge. You will have to earn stars in order to unlock other events like Urban Rivals, Club League, Professional Championship and Classic Master. These stars can be earned by winning races and beating your opponents. 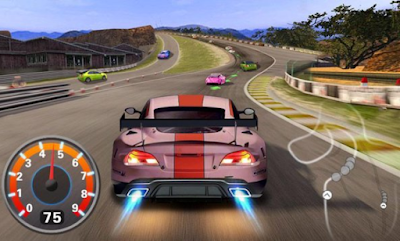 This road racer game offers you four different racing modes. These racing modes include Classic, 1V1, Elimination and Time Trial. In Classic mode, you get to race against six other cars on a track while in 1V1 your task is to beat the opponent in front of you. Elimination and Time Trial modes involve staying ahead of the racing pack and avoid elimination and racing against the clock while completing a lap of a circuit.